Tim Z. Hernandez bases his novel Mañana Means Heaven on the story of Bea Franco, the young Chicana woman Jack Karouac meets while on his way to Los Angeles from San Francisco, during his travels across the United States, and who later appears in his famed novel On the Road as Terry, or "the Mexican girl." "Mañana," she said. "Everything'll be all right tomorrow, don't you think, Sal-honey, man?" The title of the novel is taken directly from one of the passages of Karouac's novel, but this is Bea's story, not Jack's. That is made perfectly clear from the beginning. Hernandez takes Karouac's short chapter, and following the same timeline, cleverly weaves in Bea's background and breaths life into the woman by exposing the extreme emotional and familial circumstances that pushed her into opening up to a man like Jack, a gavacho "college boy," during that particular time in her life. A time that lasted but a blink in time, but one that changed both of their lives irrevocably. 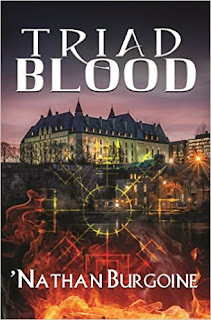 Meeting Jack gives Bea hope while she is trapped in what seems like a hopeless and desperate situation that Hernandez utilizes to build tension throughout his novel. Franco's short time with Jack changes her. It gives her the determination and resiliency that may have been there all along, but that she learns to use to become a woman who expects better for and from herself. For Jack, much later that moment in time becomes the stepping stone that helps to propel his career as a writer when the Paris Review publishes his short story "Terry, the Mexican Girl," and well, the rest is history. If Franco and her family are well researched by Hernandez, then so are the historical details. Hernandez takes the reader to a post WWII Los Angeles that comes alive with all of its paranoia and multicultural prejudices. But nothing comes alive more than the San Joaquin Valley and the plight of the pickers -- the smell and paranoia in the tent camps, the fear of immigration raids, the hatred for the implacable owners and the need for work, the child workers, the stultifying poverty, and through Bea, the desperation. Hernandez utilizes mañana, tomorrow, as the main theme of his novel. The word mañana represents many different things to the different people who inhabit the novel. To Bea and her brother Alex it represents the possibility of a future and the realization of a dream. To the pickers in Selma it represents the basics, work, food, a warm place to stay. If not today, tomorrow things will work out. To Jack it is always a way to gain time, to learn more, to see more. To little Albert, it comes to represent lack of money, a lack of hope. However, Hernandez also uses partings, abandonment, leaving and returning as a secondary and more subtle theme throughout the novel. As an award winning poet and writer familiar with Franco's cultural background, Hernandez was already well equipped to write a story about Karouac's muse. However, Hernandez's research into her life and his insights into the person Franco was, into the woman she became, takes her story beyond that of a myth. Highly recommended. Memorable Quote from Tim Z. Hernandez's Guest Post: "I Remain As Ever, Bea"
I spoke briefly about what Bea had taught me, and about what we might all learn from her story. That each of us, regardless of how seemingly insignificant or boring or obscure our lives may be, are made up of valuable epic stories that deserve their day in the light. 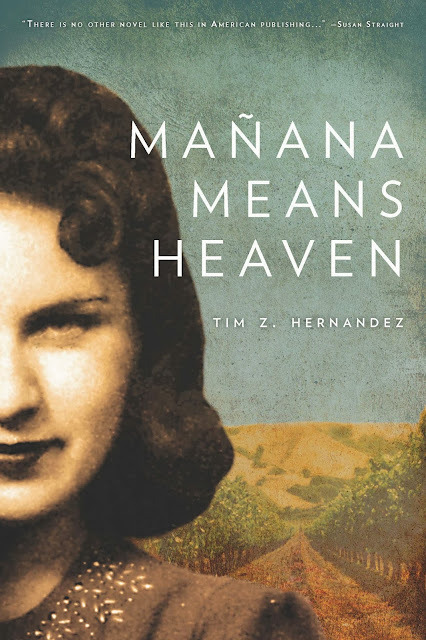 Guest Author Tim Z. Hernandez: "I Remain As Ever, Bea"
RIP Bea Franco, Kerouac's "Terry, The Mexican Girl"
This is a wonderful book! Excellent story, well researched and executed.